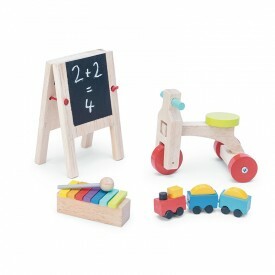 A wooden play set scaled to fit all of Le Toy Van Dolls' Houses. Features a mini replica of Honeybake Ice Lollies (detachable ices) + tray, 2 presents, a party bag, a birthday cake with candles and a party bunting. 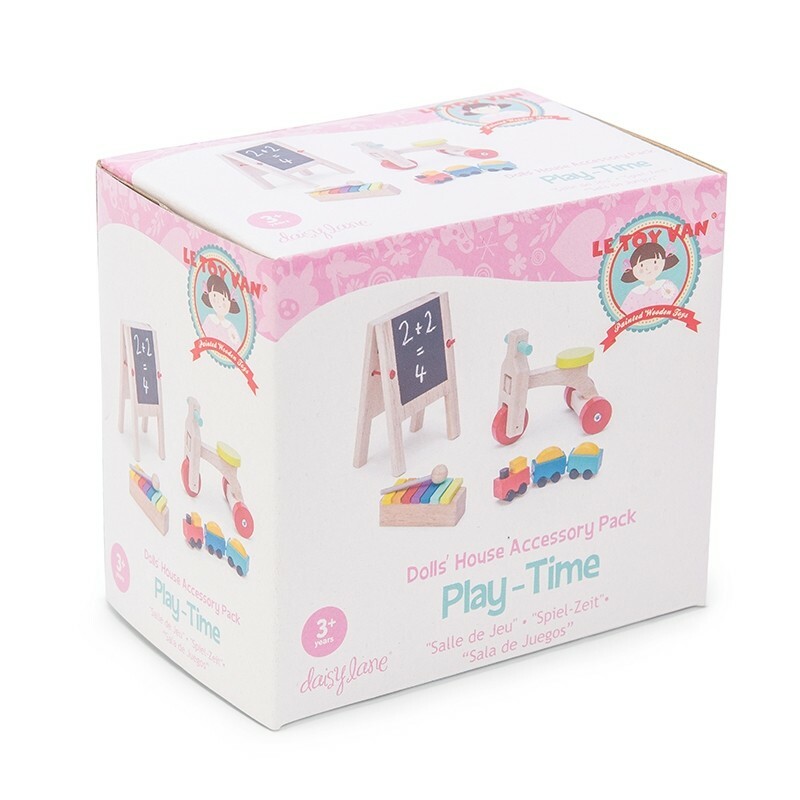 This 12 piece accessory pack is a great addition to the Daisylane and Sugar Plum collections.